When I sat down to write a book all about "love" (because the title was, A Side of Love...) I struggled a little bit. I mean, I write ROMANCE y'all. ALL my books are about love, right? But love is about more than romance. It's about more than the first flutters of attraction, that heat that swirls in your belly when his hand grazes yours for the first time. The thud of your heart beat when he slips his hand behind your neck and pulls your lips to his. I've had more than one reader tell me lately that one of the things that discourages them about romance is that it is full of the superficial. Full of the things that make us attracted in the first place but fade when those initial sparks of heat have faded. Now, I fully believe that those sparks of heat need to be fanned regularly, even in married couples. I say this as a woman who will celebrate her 17th anniversary this year, well past the normal time when the spark dies out. That spark can definitely be reignited with some work on both ends, and can be kept burning. It's not easy, but oh-so-worth it. But those readers are right. There is more to love, and really more to romance, than just spark. I encourage your romance writers out there -- definitely have the spark. But also go deeper. Find out what they are attracted to beside just the passion between them. In A Side of Love, Garrett gives up his dream job to take care of his elderly mother, moving from the bustling city of Chicago to the small town of Sandwich, IL. That sacrificial love is oh-so-attractive to Beth. It points to his character being one of quality. And if you're a reader, what book have you read recently that did a GOOD job of going beyond just the sparks in romance? I'm doing a doing a GIVEAWAY today! Everyone who comments gets their choice of a copy of my novel, Sandwich, with a Side of Romance, OR a copy of my newest novella, A Side of Love. These are paperback copies and will come with a special little extra gift with it! I recently read a book where the couple believed in each other's unlikely dreams, and supported each other in the face of opposition. I loved it! Jeanne, love complete each other stories! Many times they start out as "opposites attract" and then they each realize they NEED that opposite to complete them! Love it! I'm a HUGE fan of dreams. I know my husband is a big supporter of my dream to write, and it is OH SO ATTRACTIVE of a quality!!! I really love Erynn Mangum's romance books--I love how there's a spark, but the hero/heroine's relationship extends beyond just that. My hero/heroine have a little of that Anne Shirley and Gilbert Blythe annoying the crap out of one another (at first/when they were younger) but a deep thread that draws them together is processing the same loss incredibly similar. They grow and heal from it closer together because they *get* one another and a love is born partly out of that empathy and how similar they are when they stop and think about it. Definitely like it when characters go beyond the sparks. I like it when a hero/heroine has a flaw that they can't see past, but their love interest doesn't even see it because they are focused on the good. Sometimes I think we get hung up on the bad. 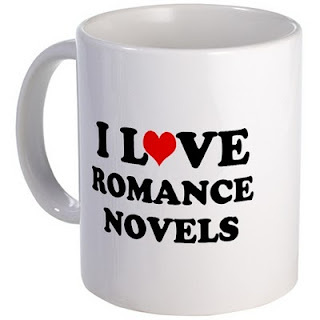 I happen to love light romance novels! I do read books that delve deeper at times, but prefer lighter books due to my time constraints. Meghan, that sounds like a great way to get beyond the spark! Supporting one in grief definitely creates deep bonds! Aletta, Oh, I love a light romance, too! Although I personally still feel that even if it isn't SUPER deep, there has to be something beyond physical attraction that connects the reader. It could be something as simple as a humorous banter between the two or loving their heart for Jesus. It doesn't have to be a super deep thing, especially when you are talking shorter books like LI and novellas. Great article! Like Beth in "A Side of Love", I found myself attracted to my husband's character. Look forward to reading more! Kathy, That is definitely what attracted me to my hubby too! His love for Jesus was definitely a big turning point for my heart! Bad author Krista! Just hopped on here and realize I never picked a winnner! ACK! The winner is Kathy R--- Kathy please shot me an email (Kristaat kristaphillips .com) and let met know which book you'd like!